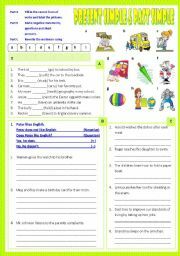 Another drilling to be used during the summer vacation, students have to write both its singular and plural (tooth - teeth) they can refer to the word bank on the right. Hope you find it useful. Thanks and have a wonderful Thursday. A writing revision I prepared for my class. 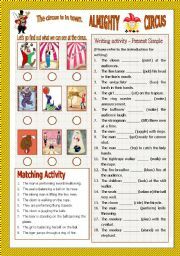 There are 3 activities. 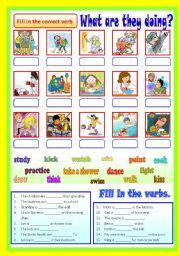 Part A Fill in the correct form of verbs and label the pictues. 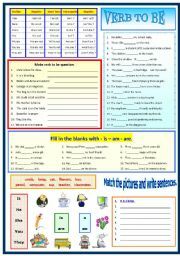 Part B Make negative statements, questions and short answers. 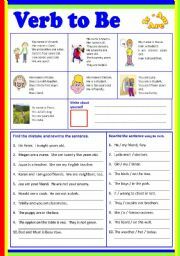 Part C Rewrite the sentences using Simple Past Tense. Thank you and have a nice day. Verb to be - Topic - How old are they? 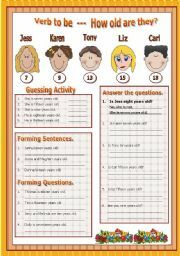 This worksheet consists of affirmative/negative/interrogative writing activity. 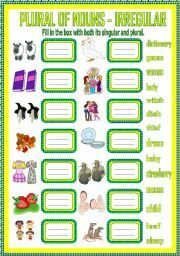 This is one of the homework for my class. B/W included.